Updated: April 14, 2014 with a link to a new Pulitzer-winning biography. Margaret Fuller was an author, the first editor of the transcendentalist magazine The Dial, and the nation’s first woman foreign correspondent. She went to Europe in the 1840s for Horace Greeley’s New York Tribune. The Heart & the Fountain (download) is the title of DuPont Cavalcade of America’s half-hour dramatized biography of this “woman of astonishing genius in American journalism,” as the 1941 broadcast called her. She became literary critic for the Tribune, the paper’s first woman writer. One of the intellectual elite of 19th century America, she was a philosopher, feminist and intellectual, no “women’s angle” sob-sister. She advocated women’s rights and education in her 1845 book, Woman in the Nineteenth Century. There are few answers to that question in Cavalcade’s half-hour drama, but perhaps enough of Fuller’s brilliance and tragedy comes through to inspire 21st century readers to open more recent — and excellent — biographies. The tragedy? After taking a lover and having her only child — while covering the 1848-49 attempt to establish a Roman Republic — Fuller died at age 40 when her ship ran aground just short of arrival back in America. It was 1850. She was bringing home her husband, her child, and the manuscript of her book about the failed Italian revolution. All were lost. That might also make her one of the first American foreign correspondents to die in the line of duty. Played by Madeleine Carroll — I’m assuming the same actress who starred in Hitchcock’s “39 Steps” and “Secret Agent” — Margaret has strong scenes opposite Cavalcade players cast as Emerson, Thoreau and Horace Greeley, as well as the romantic Marchese Giovanni Angelo Ossoli, whom she married while in Italy. Did audiences back then find it disappointing that so much of the Cavalcade episode focused on the romance at the end of her life? Or did the gaps in her story inspire them to look for more information about this remarkable woman? Announcer Clayton Collyer mentions at the end of the program that Cavalcade was marking the centenary of the (by then merged) New York Herald-Tribune, “almost a century from the day Margaret Fuller joined its staff.” However, with so much more story to tell, the episode has little to say about Fuller’s newspaper work. The title of the Cavalcade episode is a bit of a mystery. It is not a line of dialogue from the radio play or a direct reference to one of Fuller’s works. Audio from the Internet Archive’s Cavalcade collection by the Old Time Radio Researchers Group and others. See also, RadioGoldIndex (which misprints the title as “The Heart and The Foundation”), Art Chimes’s series log, the 2001 University of Virginia project, The Cavalcade of America: Myth and Reality, Hero Worship in American Radio, and Martin Grams Jr.’s book, The History of the Cavalcade of America. UPDATE: 2014 Pulitzer Prize winning biography,”Margaret Fuller: A New American Life” by Megan Marshall (Houghton Mifflin Harcourt, 2013). “An Unfinished Woman: The desires of Margaret Fuller,” by Judith Thurman in the April 1, 2013, The New Yorker; a biographical essay after the publication of the Marshall and Matteson biographies. A history of women in journalism at the New York State Library. 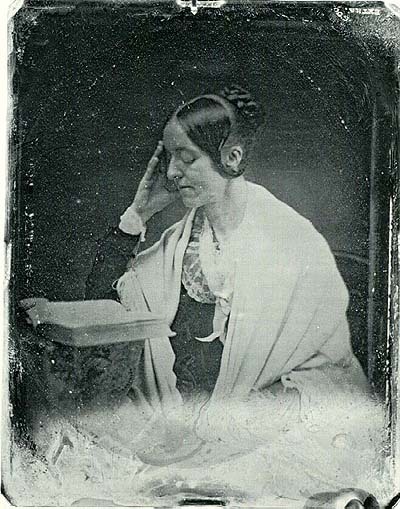 Margaret Fuller biography website at the Unitarian Universalist Association. Margaret Fuller profile in James Castain’s online Encyclopedia of 1848 Revolutions at Ohio University. Margaret Fuller: Transatlantic Crossings in a Revolutionary Age ed., Charles Capper and Cristina Giorcelli (University of Wisconsin Press, 2007). However, the title does appear to be spoken “heart and…” on the better transcriptions of the program and Art Chimes’s series log indicates that he checked the title against the Cavalcade script collection. Chimes, however, logs the program as episode 224 with a different broadcast date almost a year after its mention in print. The May 24, 1941, New York Times did refer to the episode by the same “The Heart and…” title when the Woman’s Press Club of New York gave the series an award of merit, particularly noting the April 28, 1941, Fuller broadcast. This entry was posted in 19th century, cavalcade, historical figures, Horace Greeley, international, journalism, magazines, reporters, women. Bookmark the permalink.